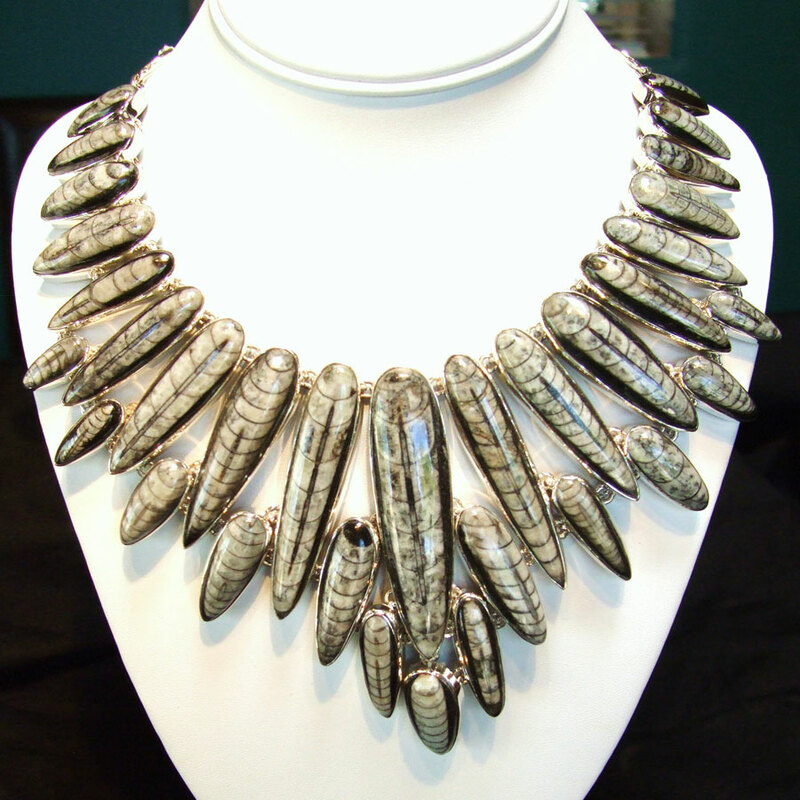 Absolutely fascinating and unique .925 Sterling Silver necklace. This is artisan designed and handmade and definitely one-of-a-kind! This is a multi-gemstone necklace featuring the following stones: Turquoise, Ammonite, Pyrite, Rutilated Quartz, Shark Teeth, Green Amethyst and Smoky Quartz. The length on this necklace is approximately 21″. 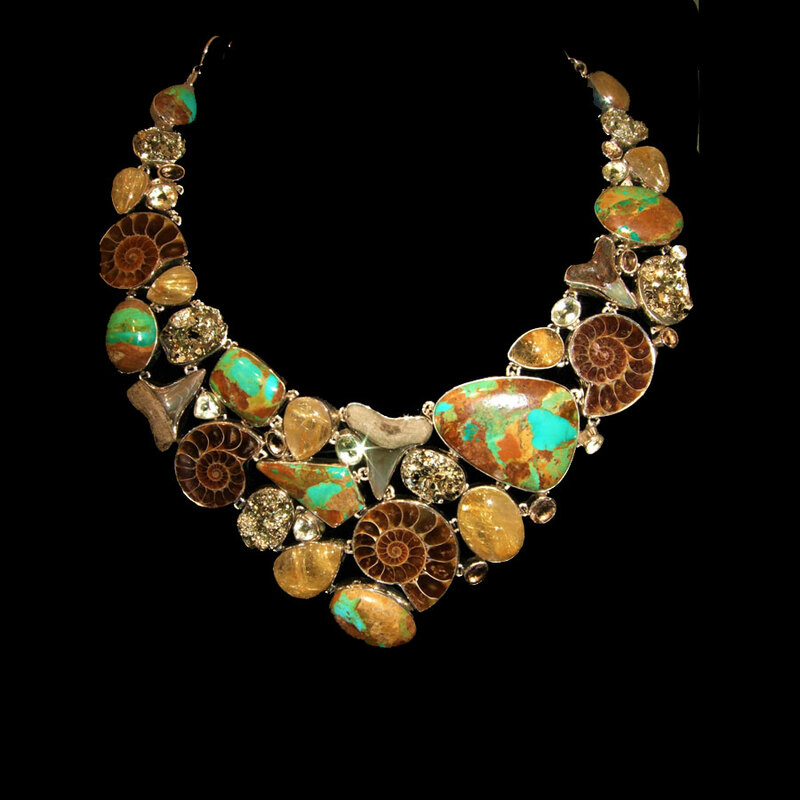 It has a lobster claw clasp and multiple loops so you can adjust the length to fit most any neckline. 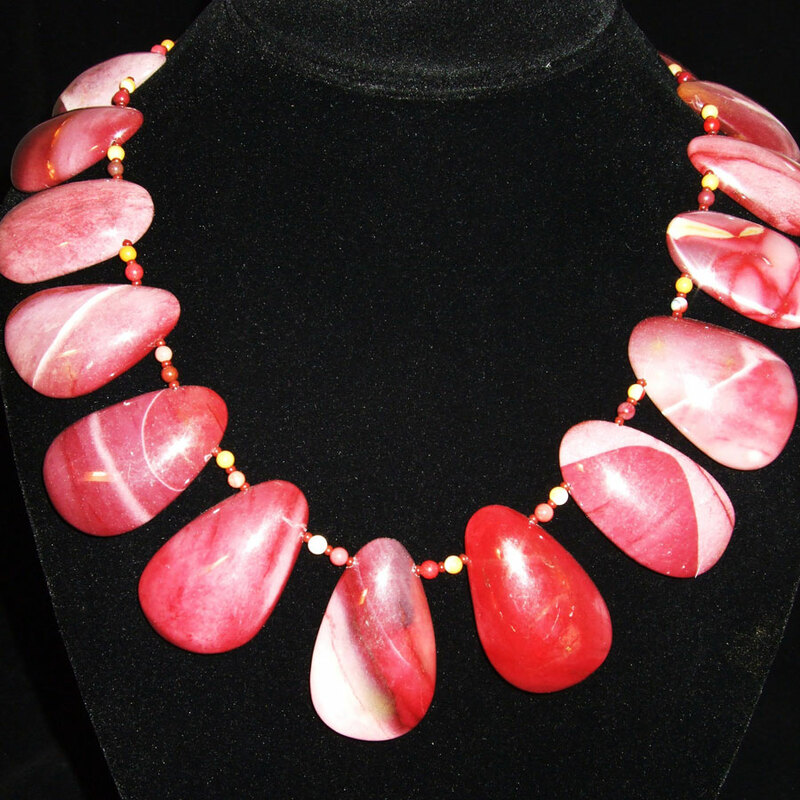 Just a stunning and fascinating piece of natural gemstones! Truly a gift from Mother Nature!